(By Osservatorio) When the Syrian government and Russian forces heavily bombarded East Aleppo at the end of 2016 a wide outrage was expressed worldwide due to the high number of civilians killed by airstrikes. However, the same didin’t happen when the Iraqi forces, supported by U.S jets and artillery, in October 2016 began the offensive to freed the city of Mosul from ISIS’s fighters and engaged a heavy house-by-house battle till the fall of the group in July 2017. Despite many NGO and journalists since the very beginning were denounced the high number of civilian casualties, the world remained silent. Recently, an Associated Press investigation has finally unveiled the real range of the bloodbath happened in Mosul. 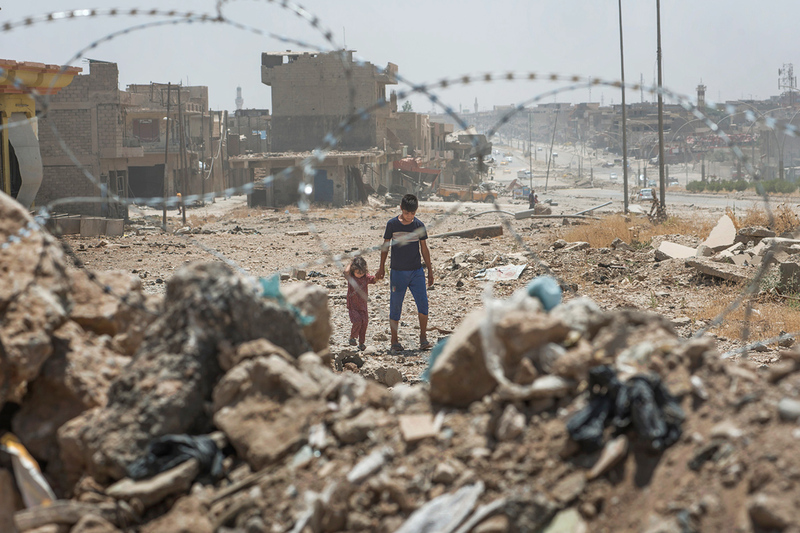 According to the report, between 9,000 and 11,000 people were killed in the nine-month battle against Islamic State: a civilian casualty rate nearly 10 times higher than has been previously reported. According to the AP investigation, Iraqi or coalition forces are responsible for at least 3,200 civilian deaths from airstrikes, artillery fire or mortar rounds between October 2016 and July 2017. As Patrick Cockburn underlined, many of them were killed by continuing artillery and rocket fire aimed over a five-month period at a confined area jam-packed with civilians who were unable to escape. “It was the biggest assault on a city in a couple of generations, all told. And thousands died,” said Chris Woods, head of Airwars, an independent organization that documents air and artillery strikes in Iraq and Syria and shared its database with AP. “Understanding how those civilians died, and obviously ISIS played a big part in that as well, could help save a lot of lives the next time something like this has to happen. And the disinterest in any sort of investigation is very disheartening,” Woods told to “CBS news”.